Dr. Mary Vaughn is a licensed psychologist. She holds a doctorate in Clinical Psychology from La Salle University. She holds masters in Clinical Psychology, also from La Salle University, and a Master’s of Education from Wilmington University. She earned her Bachelor of Arts degree in Psychology from the University of Delaware, and is a graduate of St. Andrew’s School in Middletown, Delaware. Dr. Vaughn has experience working with children, adolescents, adults, and families in a variety of settings. Currently, Dr. Vaughn’s practice is focused on working on difficulties related to depression, anxiety, relationship difficulties, anger difficulties, personality disorders, trauma, grief, and behavioral difficulties, among others. Dr. Vaughn provides psychological evaluations for the courts as well as Parent Coordination, Reunification, Therapeutic Visitation, and Custody Evaluation services. 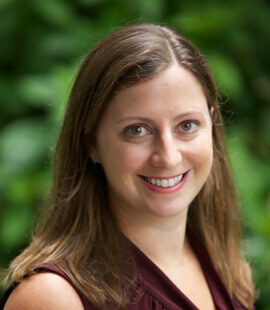 Dr. Vaughn grew up in Smyrna, Delaware, and currently lives in Rehoboth, Delaware with her husband and two children. In her free time, she enjoys reading, going to the beach, and baking.